The second episode of this season’s South Park featured Tweek—a paranoid child whose parents always try to “calm him down” with enough caffeine to kill a horse—losing his mind over the threat of nuclear war with North Korea. I bring this up, because we are all Tweek now. The episode opened with a song that has now become near and dear to my heart. Tweek did his best to ameliorate the problem, like sending cupcakes to North Korea, but Mr. Garrison—who plays the role of President Trump on the show—continued to make the situation worse with increasingly antagonistic tweets. 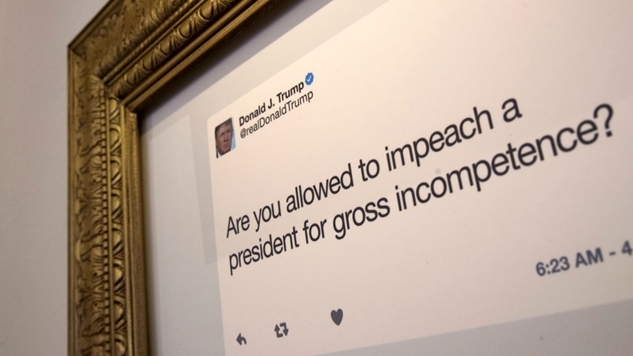 At the time, those tweets seemed a little over the top—even for Trump—but in light of last night's madness, @4RealPresident isn't far off from @realDonaldTrump. There may be some good news hidden in the flippant threat of a nuclear winter from the President of the United States. The quote Trump was responding to was two days old, and President Drunk Uncle didn't bring it up until state TV talked about it. Fox News is going to get us all killed. So maybe this isn't the end of the world. Maybe the military has severed the chain of command to a clearly unstable Commander-in-Chief, and the overwhelming unilateral power that presidents have to launch a nuclear strike is not available to a man who has clearly lost touch with reality. He cares far more about what happens on Twitter than in North Korea, so we live in a world where the President of the United States is much more of a reality show host than a public servant. The fact that we have directed much of our anger at Twitter is proof of this reality show's power over our collective psyche. I honestly don’t know what to write as it pertains to this madman anymore. Everything above is very likely my brain doing backflips to try to avoid the most simplistic explanation for the tweet: the President of the United States has no problem holding the world hostage with nuclear weapons, and isn’t afraid to use them. It’s a sobering thought for a generation who has grown up without this threat, but to those who lived through the Cold War, this is a terrifying reminder of the imminent peril we have faced from the moment we split the atom. I’ll end this column with a pivot back to South Park, the greatest satire of our time. But because satire is dead in the Trump era, their episode featuring Tweek freaking out over an imminent nuclear exchange with North Korea is now more prescient than humorous, and the song that Tweek and his boyfriend Craig ended the show with is a message that we can all get behind. If we’re going to all die in a nuclear holocaust, can it please not be sparked by the inanity that is Twitter?